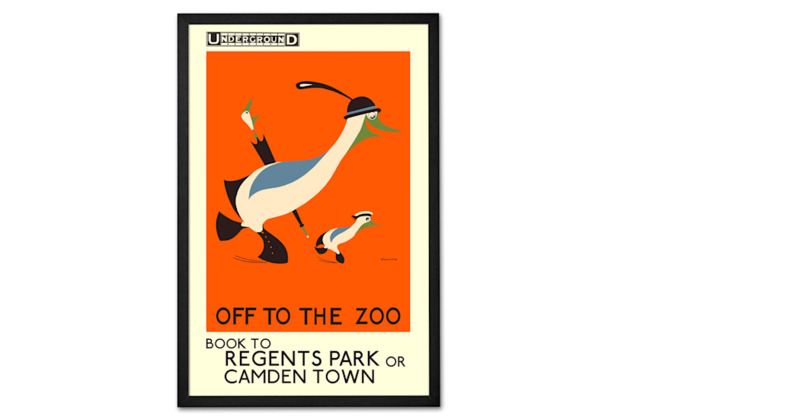 Part of a collection of vintage prints celebrating London, this one by Reginald Rigby publicises London Zoo. It’s a reprint of a poster displayed on London Underground in 1915. It’s part of a design collaboration between us and TfL. We’re helping them celebrate over 150 years of design history, with a furniture and accessories collection. This is one of many prints shown on the Underground over the years. Established and unknown artists were commissioned to make prints that highlighted London’s attractions.